Thanks for your answer. I would like to clarify that of course safety comes first, to injure someone (or worst) is my fear since I started this job. So I try my best not to do something stupid (and I've seen lots of unbelievable behaviours on the road), I just thought that to not lose myself into my own tangled thoughts would have been a good thing. I will follow your advice though, Jundo. Tomorrow marks a year from when I applied and was accepted to join this wonderful Sangha. I have just gone through the Beginners lessons again for probably the fourth or fifth time today to see if I have actually learnt anything in the last year. Thought I would take the opportunity to thank you for your teaching and guidance. And to thank those Sangha members who have also provided guidance, support and friendship on my journey along this long trodden path. I realize I still have much to learn and to some degree am still the miserable, short tempered, often angry, SOB I've always been, between bouts of normality and friendliness, acting the fool to the amusement of others but finally recognizing these failings. I have sat daily since being accepted here, missing only one day (Sept 19 last year which felt very strange and does even now) and this practice has become an integral part of my life. Still not sure about committing 100% and undertaking Jukai but am happy where I am right now, moment by moment. Deep bows my esteemed Roshi. Safe journey home. Last edited by Seishin; 08-30-2017 at 07:05 PM. Kindly post all comments, questions, impressions and objections regarding this Series and any of the videos in this thread. (I have had to do so to keep the lessons in sequence). correct consideration of how to observe the breath ?. I would say that nothing should be contemplated. Generally, following the breath is a temporary measure in Soto Zen (I will explain below), but good for beginners to settle down a little by sensing the air enter and leave the nostrils. One should just be lightly aware. Eventually, in Shikantaza, one should move to "Open Spacious Awareness" not focused on the breath or anything particular at all. As to Dogen, all he advises (in Fukanzazengi and elsewhere) is to "take a breath and exhale fully", and then turn to "thinking not thinking non thinking". In a section of Eihei Kokoru he is extremely and explicitely critical of breath counting or following (p 114 here https://books.google.co.jp/books?id=...nayana&f=false ), calling it a "Hinayana" practice. He also is not too keen on the "Mahayana" way of breathing from the Hara either, seeming to say "long breaths are long, short are short" not coming or going to anywhere. In my opinion, modern teachers who instruct in counting breath might be helping newcomers get settled a bit (I tell newcomers to follow the breath for awhile or when the head is really running wild), but if they leave students doing so for years,or leave them with the impression that such calming is the point of Shikantaza, they are doing them a disservice. That IS NOT Shikantaza. I am not sure where the breath counting was reintroduced historically, but it is not really introducing students to the power of Shikantaza. also point you to Keizan in Zazen yojinki, who does seem to recommend some breath following in limited uses, especially for particularly unsettled times .... "Sometimes [in Zazen] your body may feel hot or cold, rough or smooth, stiff or loose, heavy or light, or astonishingly wide-awake. Such sensations are caused by a disharmony of mind and breath. You should regulate your breathing as follows: open your mouth for a little while, letting long breaths be long and short breaths be short, and harmonize it gradually. Follow your breath for a while; when awareness comes, your breathing will be naturally harmonized. After that, breathe naturally through your nose" and "[At ordinary times:] Place the tongue on the palate and breathe through the nose. The mouth should be closed. The eyes should be open but not too wide nor too slight. Harmonizing the body in this way, breathe deeply with the mouth once or twice. Sitting steadily, sway the torso seven or eight times in decreasing movements. Sit straight and alert. Now think of what is without thought. How can you think of it? Be non-thinking. This is the essence of zazen." I sometimes find myself drifting off when keeping my gaze on just one point on the wall ahead of me. Is it advisable to look around a little when attention becomes weak from not moving the gaze at all and then bringing it back again. Thanks. As I usually say when this subject comes up, I personally am not staring fixedly at a "point" or a dot ... nor am I staring so unfocused that my eyes go blurry. I describe it as "staring at everything and nothing in particular". My eyes take in the room or the floor or wall quiet naturally, but I do not latch onto anything particular I am seeing. "Staring wide eyed into space" may be a good description. Maybe my focus just wanders from point to point to point quite naturally, resting where they rest, on this or that, then moving on when they move on. Is it advisable to look around a little when attention becomes weak from not moving the gaze at all and then bringing it back again. Thanks. I hope that answers your question, "wander quite naturally, resting where they rest" but not particularly thinking about or judging what I am looking at. Eyes about 1/2 or 1/3 open. Let me know if that helps. Last edited by Jundo; 01-19-2018 at 05:29 AM. Thanks for the quick response Jundo. I move my head around the room looking up at the ceiling, the furniture in the room and then bring the gaze back to the wall in front. I suppose that's alright so long as I don't do too much of it? or am I just overthinking this. I think you are overthinking, but not sure why you are looking at ceiling and furniture if facing the wall. If facing the wall, in front of you is just the wall. Last edited by Jundo; 01-19-2018 at 06:30 AM. I find that bringing my gaze up just a bit makes a big difference if I am drifting off. thank you. I tried it while sitting a sleepy sit and it worked. Just got my first (long needed) glasses some weeks ago. Found out, that sitting with glasses (close to the wall) and seeing sharp without effort helps with not drifting off, too. This concerns where we sit. I have been trying to sit up close with a wall just like the image posted a few posts back when I'd asked a related question. It feels a little too much and in my face. I find that sometimes sitting with the whole room in view or just keeping the gaze on the floor ahead works best. Just wanted to get your quick opinion. Move back away from the wall, or see the whole room or the floor. However, sit without thinking of wall, room or floor. Just let them be, and don't ponder them or be bothered. Some commentators have noted that, more than sitting "facing the wall," we actually sit more "like a wall sits." A wall does not care if the sun is shining or it rains, if a child bounces a ball on it or a cat urinates on it. Just Sit. Last edited by Jundo; 02-15-2018 at 03:07 AM. Way better than a boring white wall. So long as one is not judging or getting caught in thoughts about the mess ... then what mess? One is then sitting with a mind that is the most pristine room in the universe. Thank you Jishin and Jundo for your thoughts. I am rarely able to find a space to sit in my home that is just "wall." Usually, there is laundry nearby. “SatTodayLAH” or “ST/Lent A Hand” etc." that's what i thought it was, except for the dedication-part. Jundo, thank you so much for the beginner series. I have just completed number 22. I am sitting for 20 min a day. Working up to thirty next week. I would like to have a joki with you. When may I do that? Where should be my next lesson? Jukai study takes place beginning around August and September, and the ceremony is in January. Feel free to study the precepts if you like until then! Keep up the sitting. thank you. could you give me how to study the precepts. Is there a certain way? is there a good book on this? There is a lot of great information about studying the precepts in the thread announcing the last Jukai. Treeleaf uses the book "The Mind of Clover" by Robert Aitken. You can find threads that touch on each precept. Those threads contain links to additional readings. I have a question about the mudra. I'm new to shikantaza practice (though not new to a regular meditation practice) and the mudra is new to me - and uncomfortable. Maybe I have oddly shaped thumb-tips? Even with very short nails, the fleshy part of my thumb tips do not touch each other and one nail edge slides under the other nail edge. It's distracting and uncomfortable. I have to tent my thumbs to get flesh-on-flesh. I have been sitting with this and observing it (I'm only on day 4 of the series). But I wondered if others have experienced this? Or am I holding my hands wrong? I knew there was a good mudra thread around somewhere, so I searched around and found it. There was also one just last week from someone else having trouble with it! You are a very cute Schnauzer, btw. Yes, so interesting to have two Mudra questions back to back! Folks rarely have problems. The nails should not slide into each other. Yes, "tent" the fingers, but very slightly, lightly and comfortable. No forcing, not too much pressure. It should be a "do it, and then forget about it" pose, very easy. Try relaxing the hand/wrist more, so that the knuckles of your fingers are realy facing down (see picture that Jundo posted) and not forward (as this might be the problem). Thank you, Jakuden, and woof! Gave me some ideas to work with. I will try placing a support under my hands because I wonder if supporting them will change the angle/amount of thumb extension required. I also have some injuries in wrists & elbows and perhaps that is contributing to the discomfort of keeping thumbs in position. And thank you as well, Jundo and Ryudo! I just saw your thoughtful replies. Last edited by Ramsey; 02-26-2018 at 02:03 PM. Quick update: Raising my hands on a cushion on my lap made a huge difference. Thanks! Just wanted to run this by you guys. I do a short round of mantra recitation or some pranayama breathing exercises right before sittings at times. Is this something yall would recommend I keep up so long as it helps with the sittings. Looking for opinions really. That is just my view, and I know that others can find great power there. If you feel that it helps you settle, then please do what feels right. For me, it is not much different from singing "Happy Birthday" before Zazen if it helps you. If it helps you settle for Zazen, then sing so. However, in doing so, do you truly understand the radical power of Shikantaza as non-gaining, not intentionally seeking any special state, or are you hoping to induce some special or unusual state of mind? That is another question. Hi Jundo, thanks for the reply. In the past, and even off and on (on bad days), the temptation for escapism has been there, I must confess. (no different than tuning out to drinking for instance, or anything else on a bad day). Naturally, it has always led to despair in the past. I guess I'm more aware of it now instead, try to be anyway. And that is not at all my intention from this practise. It may be a while before I really get it in my bones. Edit - I forgot to mention, the breathing exercise I take up helps with the sittings. I steer clear of the more overt forms or forceful breath retention exercises. I should hope that is fine. Last edited by newby_x86; 03-28-2018 at 05:07 AM. I struggle with dullness especially these days. To deal with it I have started turning to these Contemplations by Atisha I found here. Ever so often, during sittings or walking, when I find myself slipping into dullness, I would briefly just reiterate one or so points from these contemplations. Sometimes it helps to liven me up a bit, other times, it can be somewhat agitating. Please advise if contemplations on death should be done during sittings or kinhin, or should they be done separately, such as at the start of sittings or as a separate practise altogether. Also, some tips on promoting wakefulnes/keeping up motivation to practise in general would help. In our tradition we don't contemplate on such matters, when sitting just sit and be engaged/present with life as it is, as it is unfolding. Why contemplate on death when you are alive and here? When we fixate our mind or attention on a single point we cannot see life, we can only see that single point of fixation. Again just be present with the wholeness, the completeness of life. If you find yourself being dull or lazy during zazen or kinhin, recognized that, acknowledge it, and come back to being present with the whole completeness of this life. 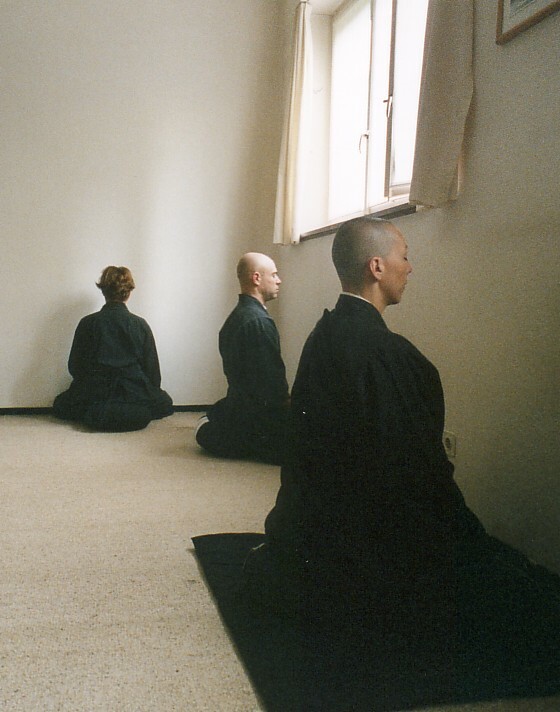 To keep up practice really is to just practice ... to dedicate yourself to zazen. The more you do this, the easier sitting becomes. But even when sitting is not so easy, just sit. Know in your heart and mind the benefit zazen has for both you and the world around you. Yes, as was said, whether one finds such Contemplations helpful is according to your own heart. If they are helpful reminders for you, then I see nothing wrong with them at all, and much so right. However, when sitting Shikantaza Zazen, there is only Zazen and we do not engage in Contemplations. When sitting Zazen, nothing more is needed but sitting and nothing is lacking. Likewise for Kinhin, when walking Kinhin just walk. Do not engage in thoughts or intentionally contemplate. You know, coming each day to sit in stillness for awhile is so hard for human beings, who feel we must run and chase and get done and ponder. The little self does not wish to pause. I just completed the first video (Lesson One) and must say I am excited to continue on! I did meditate earlier for about 45 minutes in a hammock in the backyard and have to say I probably got about 10 minutes of peace there. I am looking forward to learning this method of sitting as I am definately new to Buddhism and my practice. I have heard this form is a very formal form, but I am going to remain open and continue! Hey All! I needed this message today! The mind was rampant, the body was tense (maybe a little still). Nothing to do and nothing to accomplish. I think I will sit some more in the beautiful sunny weather and ease this mental state some more! Sattoday Will sit more today. That answers what I was just about to ask about. Thanks, Jundo. I have heard this form is a very formal form, but I am going to remain open and continue! There are many different meditation methods out there (and only some of them are explicitly "Buddhist"). I posted about this elsewhere so sorry if you've already read this: I first learned zazen from a book, but only met and sat in group meditation many years later with a college professor who is Tibetan Buddhist. 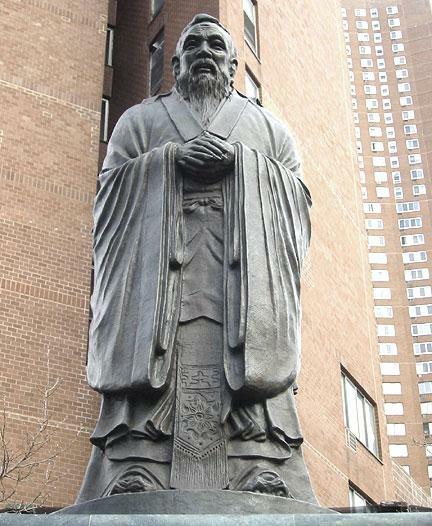 He regarded Zen-style sitting as more strict than necessary, and encouraged things such as guided meditation, visualizing various things in tune with your breathing, and other concentration methods that are definitely not "not-thinking", as well as a much more lax attitude about posture. It gave me a bit of context for zazen, which in retrospect was incredibly helpful in teaching me more about zazen itself simply through contrast. - No nonsense: I have trouble taking things like reciting mantras out loud seriously, or doing particular mudras, or concentrating on energy flows through chakras. Apologies to folks who take them extremely seriously! - Koans, visualizations, etc tend to just complicate my practice and make me feel like I'm always doing it wrong. A few years ago I attempted regular sitting but got frustrated and quit because I felt like I was either getting distracted too much or making no progress. Now I just sit no matter what. Maybe I don't have enough of a type-A personality for those methods. - It's just really practical! When you sit, you just sit, there are no mantras, koans, or visualizations to remember. I have a full-time job and a hobby which has become a part-time job, so my brain is under constant assault from non-Zen stuff. When I carve out the time to sit, there's nothing to prepare, I just do it. However, I would not have discovered those reasons without researching or practicing other methods. It's probably not necessary for everyone, but it's certainly helped me get through doubts about whether this is really the best practice for me. This concerns holding our hands in Shashu while doing kinhin. I find that it starts to feel a little special when I do that and that puts me off doing the whole thing entirely at times. Is there any particular reason, postural or otherwise, why holding our hands in Shashu is recommended? Please render your thoughts, I'd rather it just be an ordinary activity and not feel special or anything in particular at all. For now, I just keep my hands clasped behind my back while doing slow walkings. As an alternative, you can stick your fingers in your nose and walk. That is special too. Everything is special. I am not making a joke or kidding you. The left fist is a vajra mudra expressing diamond-like clarity or will or intent. The left hand in this and other mudras represents the human realm, the right the Buddha realm. The left thumb represents the human realm specifically ... (with other digits of both hands represent other various realms). So it seems in this mudra the human realm, which is frail and vulnerable, is being protected or embraced by all the other realms. The whole right hand, representing the Buddha realm, covers it. Whatever. Nice interpretation I suppose. People can always come up with such symbolism for almost anything. I think that Shashu is just a nice, calm, respectful way to place the hands. Two become one. Hard to walk calmly and nicely while picking the nose, sacred or not. Please hold your hands in Shashu, Newby (what is your human name?) whether you wish to or not because your likes and dislikes are mostly between your ears. Last edited by Jundo; 05-19-2018 at 03:17 AM. I also once heard this explanation and I do feel this explanation was a mixture of traditions and ideas and not our traditional understanding, but I thought it to be a nice expression none the less. They said when we sit zazen we are cutting away the separation our minds brings into this world and brings a state of unity and wholeness. The zazen mudra is this unity, unifying "wisdom" and "compassion" ... it also can apply to kinhin and the shashu position, here we are bring that wisdom, compassion, and non-separation into our hearts (as our hands are close to our hearts). I also agree it is a nice relaxed and welcoming position ... so give a try, over time you will see the benefit. Thank you for the reply Jundo and Shingen. At work, I'd taken to doing kinhin with just hands behind the back, I feared the shashu mudra may attract a little too much attention! (Not an excuse, just some context) I'll learn to swing it both ways between work and home. Last edited by newby_x86; 05-19-2018 at 05:41 AM. I am curious if you know of any way of traditional holding the hands in India like Shashu in China, or use of that mudra in Indian / Hindu traditional art. I am wondering if it was a Chinese thing, or has Indian roots. I should mention that I live in the city and haven't had a great deal of exposure beyond there parts so please forgive my ignorance there.